One of the coolest features on the new Samsung Galaxy S10 smartphone is the in-screen ultrasonic fingerprint scanner. If you are the sort who is particularly concerned about privacy you might be wondering just how secure is that fingerprint scanner. The answer is not very. A guy made a 3D print of his fingerprint and said that after three print attempts he was able to easily bypass the lock screen via the fingerprint scanner. The reason it took three tries is that the first try he forgot to mirror the fingerprint and the second reprint was to get the ridge height correct reports The Verge. 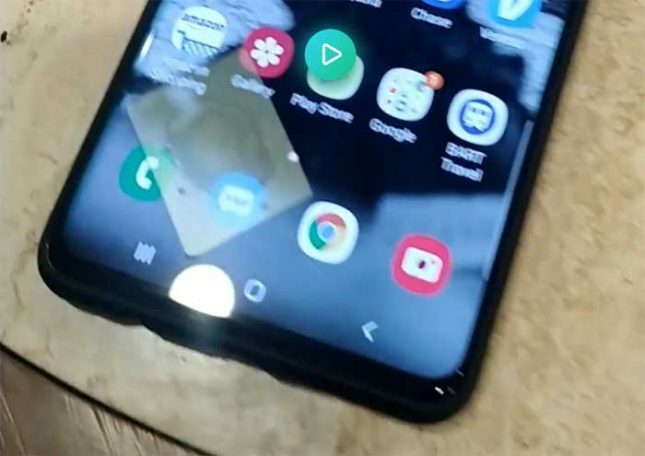 The person claims that the 3D printed fingerprint will open his phone just as well as his finger does. The entire process started with the man simply taking a picture of his fingerprint from a wineglass. He notes that he could steal a phone with the person’s fingerprint on the screen, take the image, send it remotely to the printer, and have the fingerprint ready to go to unlock the phone by the time he gets home. He notes that within 15-minutes he could have full access to your device and any data stored on it. Any banking details or accounts like PayPal secured via the fingerprint scanner would be vulnerable.